Feel at home in welcoming accommodations that offer resort-style conveniences coupled with residential comfort. Christie Lodge delivers unique hotel lodging with spacious one- and three-bedroom suites, each featuring fully-equipped kitchenettes and furnished balconies promising spectacular views of Avon and Vail Valley. 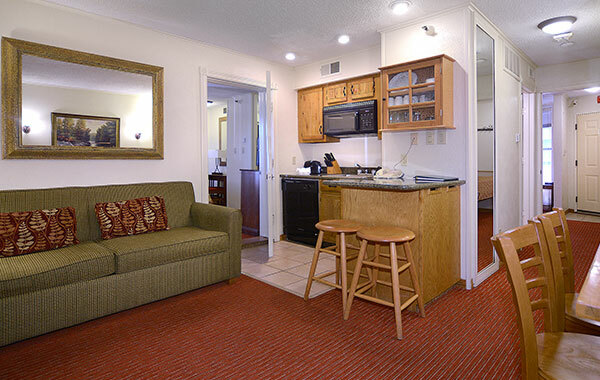 Relax on plush furnishings and watch one of two flat-screen televisions. Whip up a tasty snack in your convenient kitchenette. Pour a glass or wine and take in the fresh Colorado mountain air and inspiring views from your private balcony. Free high-speed Wi-Fi keeps you connected while air conditioning units and cozy wood-burning fireplaces ensure your absolute comfort year-round. Enjoy 421 sq. 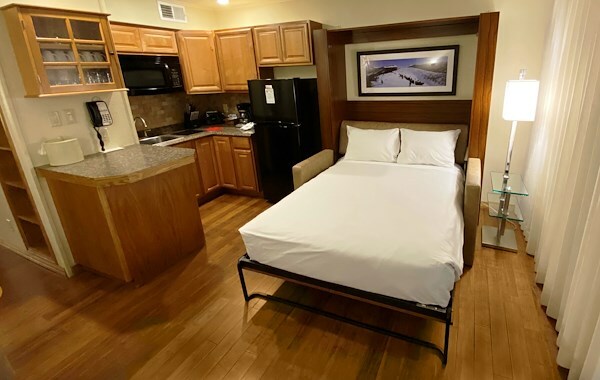 feet of space to relax, along with a triple-sheeted queen bed, a queen sleeper sofa, seasonal wood-burning fireplace, private bathroom, furnished balcony and convenient kitchenette. Rest easy with room to spread out for groups of up to seven, with three private bedrooms and bathrooms, three triple-sheeted queen beds, a seasonal wood-burning fireplace, furnished balcony and conveniently equipped kitchenette and dining table.